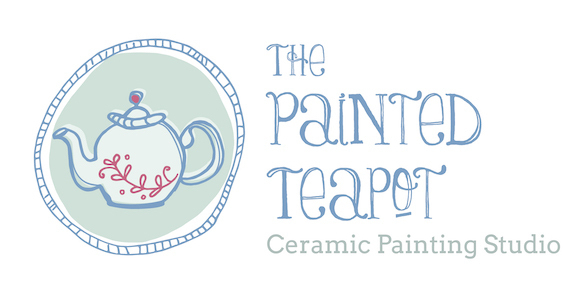 The Painted Teapot is a ceramic painting studio in Subiaco that provides people with a ceramic painting experience. 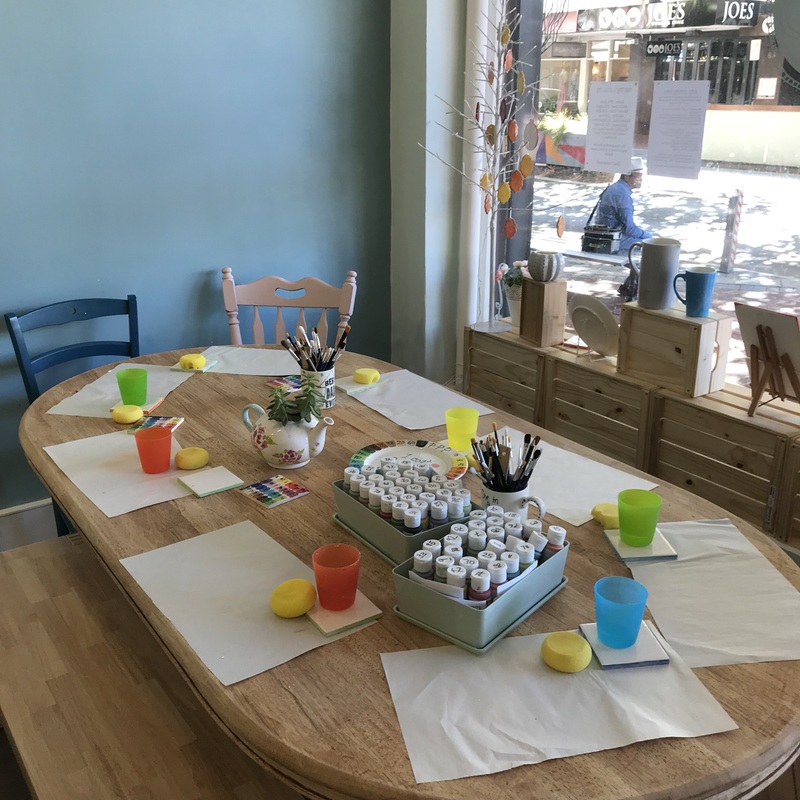 This charming business offers painting sessions that are perfect for parties, school trips, and team building activities. An $8 painter fee covers the cost of equipment, glazing and firing, and then you pick an item to paint for an extra cost. The pieces cost between $8 and $80 with most priced between $15 and $35. I really loved the range of items that they had on display. There were teapots, plates, coffee mugs, vases, spoons, bowls, figurines, cupcakes, ice cream cones, trains, letters and one very big bowl. It was really hard to pick one. I almost got a cupcake but in the end, decided on a coffee cup. My daughter picked a train and her grandmother selected a mug. After we picked our items we washed our hands at the basin and then sat down to paint. I went to a ceramic painting studio years ago to do some hand and footprints so the set up at the table was familiar to me. 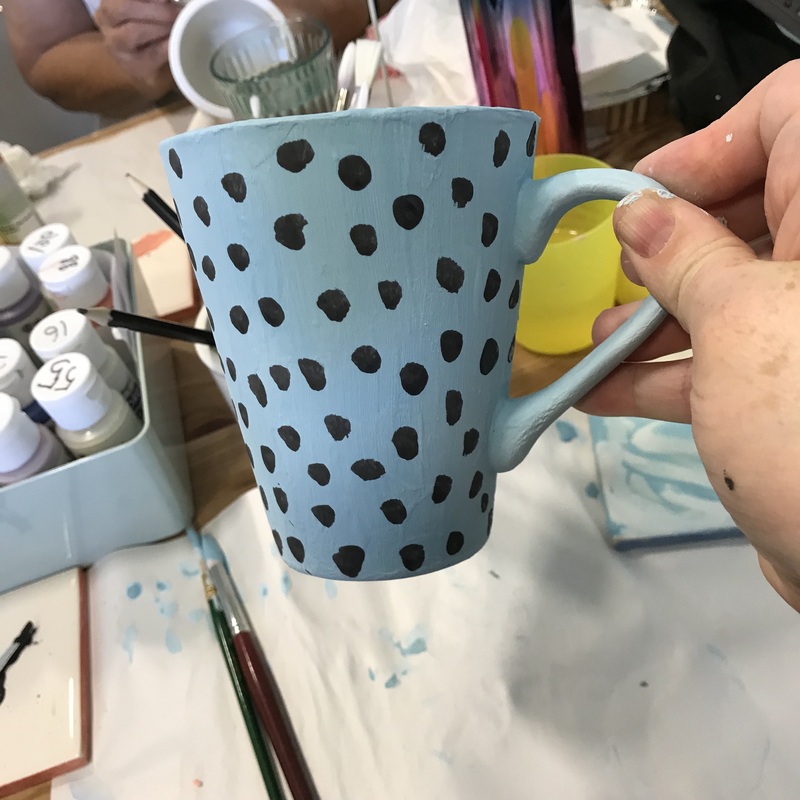 There was a mug filled with paintbrushes and each person had a cup of water on a tile, a sponge, and a piece of paper to put their piece of pottery on. There were paints labelled with numbers stacked in a box in the middle of the table. We were told that the paints will look different after being glazed and coming out of the kiln. 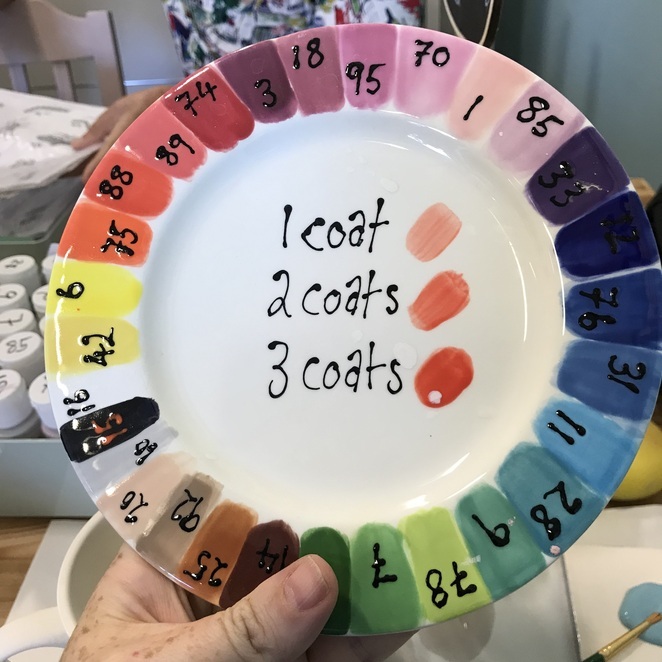 To demonstrate this we were shown a plate that had been glazed and put in the kiln that had samples of the paints on it. The first thing we were told to do was to get our sponge and dip it in a cup of water and wash our piece down. After that, it was time to paint. 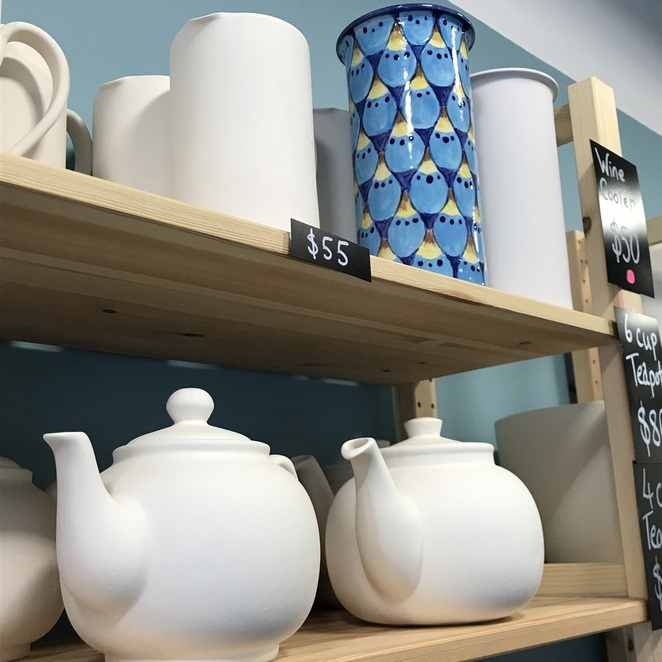 One interesting thing you can do at The Painted Teapot is use a stencil called a silk screen to paint a picture onto your piece of pottery to paint. After you select a stencil, you will be shown how to create a black paste that will be used to transfer the image onto your piece. Once the paste has been applied, peel the screen off and admire the end result. I thought this butterfly turned out really good. I had a pretty clear image in my head of what I wanted to paint. I painted my coffee cup blue and covered it in black dots. It was simple but I was happy with it. After we finished our pieces, we handed them in to be glazed and put in the kiln. It takes 7 to 10 days (or 12-14 days during busy periods) for items to be glazed and fired in the kiln. 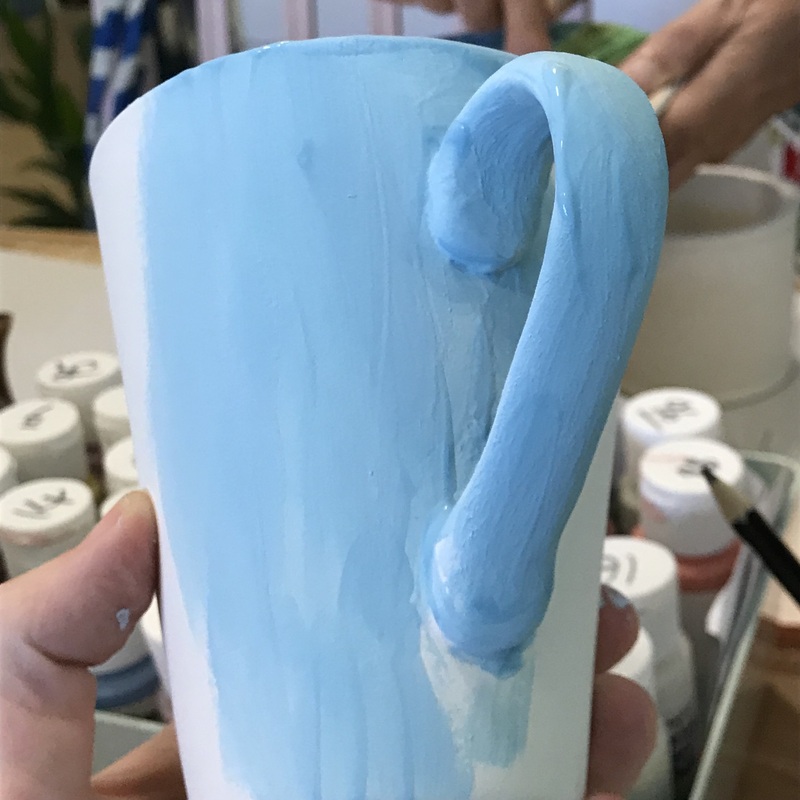 I'm interested to see how my cup will look like once it's completely finished. If it looks good I might go back to paint a matching teapot to go with it. 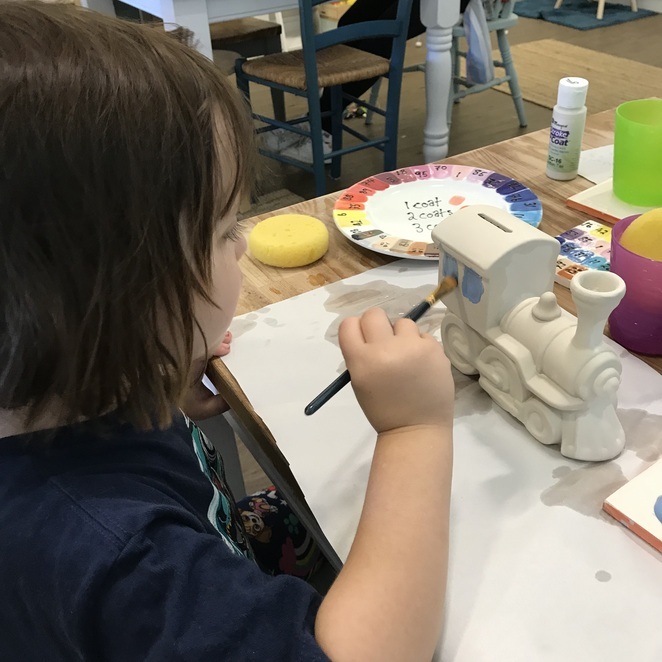 The Painted Teapot is open Tuesdays and Wednesdays from 10am to 4:30pm and on Thursdays, Fridays and Saturdays from 10am to 2pm and on the first Sunday of each month from 11am to 2pm. 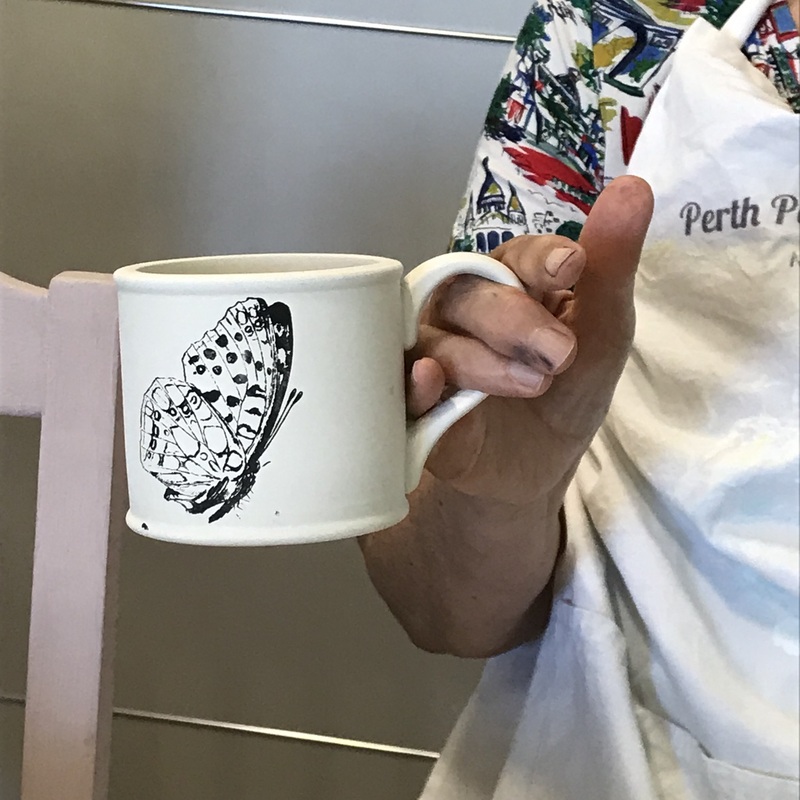 If you would like to have a ceramic painting experience you can fill out a booking form on their website or contact them via info@thepaintedteapot.com.au or call (08) 93814153. Why? The Painted Teapot is a ceramic painting studio located in Subiaco that offers a ceramic painting experience suitable for painters of all ages. When: Tuesday, Wednesday from 10am to 4:30pm, Thursday, Friday and Saturday from 10am to 2pm and the first Sunday of each month from 11am to 12pm. Late night paint nights (adults only) held from 6pm to 9pm on selected dates. 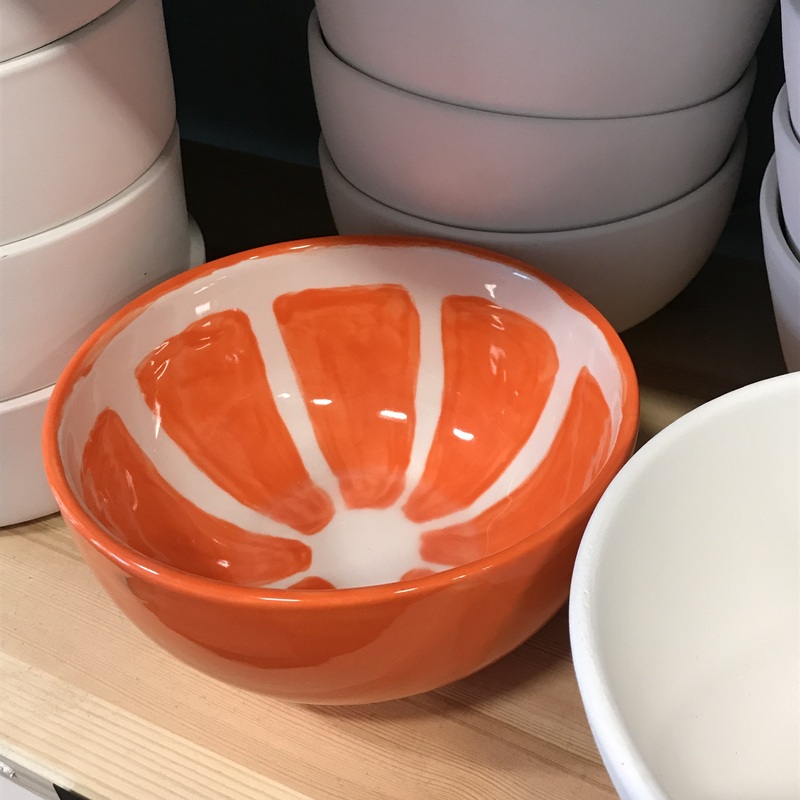 Cost: A $8 painter fee covers equipment, glaze and firing costs. Items to paint cost between $8 and $80. Special painting events cost between $20 and $38 per person. A great idea, Marisa, sounds like heaps of fun!